A lot has happened this year, so I thought I’d take a look back on 2018 with a few thoughts on some post production headlines, some of my favourite posts from the year and a few links to some fun holiday reading. But where would we be if we didn’t start with a nicely edited montage of the ‘best’ films of 2018? Indiewire film critic and editor David Ehrlich has put together his annual epic montage of his favourite films of 2018, counting down from 25 to one. It’s worth a watch for the editing alone, but also as a crib sheet for movies you might want to add to your ‘must watch list’. You can also watch David’s edits from 2017 through to 2012 here. If I think back over some of the key headlines and highlights of 2018, Fusion being added into DaVinci Resolve, through a impressive number of updates over the course of the year, is a strong memory. Not least because of the power that it brings to the app, but also the explosion of tutorials and training and appeared to support it. It will be really interesting to see where it takes us in 2019, and what other NLEs might do in response. Lowepost the professional colorist’s subscription site has recently really up’d their game with the release of some extensive new training series focusing on more advanced procedures using Fusion in DaVinci Resolve. I previously reviewed Lowepost a couple of years ago, which you can read all about here, along with some other great resources on being a colorist. Here’s a quick taster of that latest that Lowepost has to offer, along with a very active forum that’s free to use. The best part is that, all of these new training series (and more to come) are included in the affordable annual fee of just $59, that’s less than $5 a month! I’ll be writing up a more in-depth review of these new training titles and reviewing Lowepost again soon! Speaking of updates, FCPX’s previous annual update came with 10.4 (here’s a round up on those improvements) while November 2018 saw several new features added in the 10.4.4 release. So much has been added into Adobe Premiere Pro and the other Creative Cloud apps, that I’ve not had a chance to dive into it but the PremiereBro.com is all over it. Not to mention the intriguing option of new ‘Pro’ Apple mac hardware in the Mac Mini 2018 – here’s my post on Using the new Mac Mini 2018 for Video Editing. 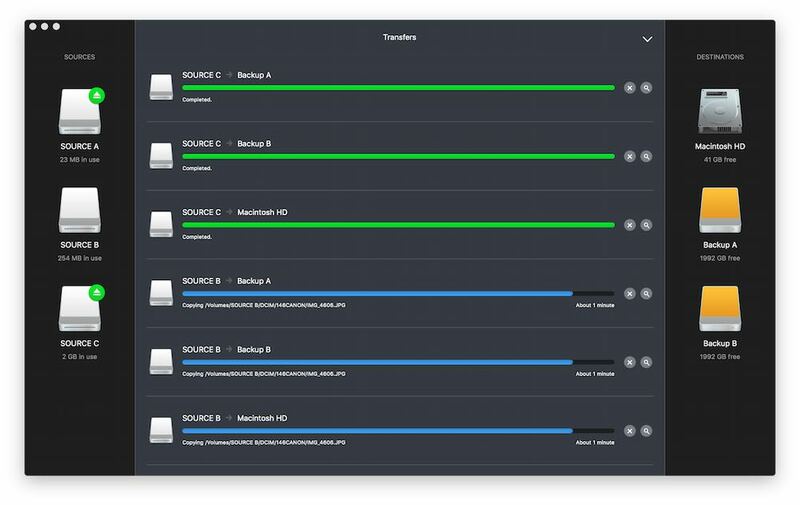 Personally I have made great use of my 15″ 2017 Macbook Pro, which has Thunderbolt 3, allowing me to connect it to things like super fast SSD drives, or eGPUs. In 2019 I’m definitely keen to test out some eGPU options as well as keeping a close eye on how those who are jumping the fence to PC machines get on. NAB rolls around each year and it’s easy to forget all the things that were added to the major NLE’s (here’s a quick reminder) as well as all those things you learned from the smorgasbord of excellent presentations from post production pros (here’s a quick reminder). The competition between online video review services is hotting up, in 2019 I’m sure it will be the same for AI driven audio to text transcription services (Speedscriber is the one I’ve used the most). I have a few ideas of my own I’d like to see implemented in video services like Frame.io, but I’m sure they’ve got other fish to fry. It will also be interesting to see where indie developers like Colour Grading Central take new ideas like Cinema Grade, which allows you to colour grade your image by clicking and dragging on different areas of the image to change them, rather than clicking and dragging on various control interfaces, which delivers a more tactile experience. Whatever you may think of Cinema Grade itself, I’m always encouraged to see people trying new approaches and creating new products and services to enhance the day-to-day post production experience for the rest of us! Without doubt one of my favourite things from 2018 was the Masterclass All-Access Pass. I devoured Commander Chris Hadfield’s class on Space Exploration, learned a tremendous amount from Ron Howard’s masterclass on directing film and returned to reference Malcolm Gladwell’s superb class several times. It was also interesting to listen to what it was like for Samuel L. Jackson and Spike Lee to make it in the movie business, learn documentary making secrets from Werner Herzog and Ken Burns, as well as trying to improve my poker game with help from Daniel Negreanu. Masterclass are adding further experts to their roster all the time, with a recent announcement of an up-coming classes from Natalie Portman and Jodie Foster, here’s hoping that they add a film editor in 2019! Throughout the year there were a trio of apps that delighted me every time single I used them. Their simple, effective and flawless design made them a joy to use and so every time I did I got a little jolt of satisfaction. Hedge for fast, safe file transfer and back up from hard drive to hard drive. I recently wrote about it’s latest new features here or head over to their official site for yourself and get 10% off in the process. What I love about this app is how incredibly easy it is to use and how fast the transfers are. PDF Viewer for effortlessly bringing client feedback, references or any other PDF document straight into Premiere Pro. I used this on a vast number of projects I cut this year. $20 well spent! Art List.io was also a delight, mostly because the chore of finding just the right piece of music for almost every project I cut in 2018 was no work at all, thanks to their great and growing catalogue. Read more about them and check out my other favourite royalty free production music sites here. They’re also running an offer over the holidays with an extra two months free on an annual subscription plus 50 free sound effects to download. One of my favourite things I acquired in 2018 was my set of nuraphone headphones, which deliver a personalised sound through your own unique profile, scientifically created to match how your ears hear sound. A sonic revelation these are. If you can get your hands on a pair to try out for yourself, you’ll soon understand what I mean. They’re not cheap at $399/£349, but you can save 20% (£70/$80) off the normal price with this referral link. They are basically the most fun things you can do with your ears. Here’s my 5000 word review on how they work and why the sound so addictively good. If you’re in need of something good to listen to then check out this post on Podcasts for Post Production Pros, or this round up of my favourite film soundtracks to work to. Surprisingly (I had to check) I don’t seem to have reviewed any books on the blog in 2018, so I’ll be correcting that in 2019. But I just wanted to mention a trio of worthy reads that I would recommend everyone in post thumb their way through at some point in 2019. The “forest”, then is an explosion of opposition, whether embodied as an inciting incident, or act turning point, or midpoint or crisis point or scene turning point, it is the primordial building block of all drama. And those blocks create the confrontation of something with its opposite. When two opposites are juxtaposed correctly, an explosion occurs, and story comes alive. – P119, Into the Woods. The Elgato Stream Deck is a device that I’ve just recently reviewed and I’m still getting to grips with all of it’s (massive) potential, but it’s definitely one of my favourite things from 2018. As I continue to embed it into my day-to-day workflow during the next year, I’ll be updating my custom profiles, maybe adding gifs to buttons and probably making more film-related button-sets. For a 3 word review I’d offer: fun, productive, easy. If I were to build a new controller designed for film editing from scratch, it would need to take the following things into consideration, and it would have to be beat the default process of using a keyboard and mouse/tablet. My new assistant editor, what could go wrong? Looking back through every post I wrote in 2018 was a nice little jaunt down memory lane. What’s new: Avid Media Composer vs Premiere Pro vs FCPX vs DaVinci Resolve? It’s surprising that LUTs are still very much a thing – this post on Free LUTs for Editors, Colorist and DITs, has been the most popular post on the blog for a good while. I also took a bit of a deeper dive into using LUTs to match a real film look in this post too. I expect they’ll remain a thing in 2019 too. Better Editing Through Sound Design – This was a fun post to put together, not least because I got to review Film Editing Pro’s latest course (their trailer editing course is essential training, I’d wager!) which included a lot of great sound related tips. That and I got to watch a lot of fun videos on A Quiet Place and sound design in general. How to Earn Extra Money Freelancing – Possibly the most valuable post to read on the blog in 2018, with a fistful of ideas on how to invest that downtime in money-making ways including renting your gear, teaching, creating stock assets and more. If you’re looking to become an assistant editor in 2019 then there are few resources I’d recommend more highly than Master The Workflow, which will guide you through everything you need to learn to be an employable assistant editor on a feature film cutting with Avid Media Composer. It’s also really worth taking the time to read through the interviews and linked interviews with many of the post-production team from Mission:Impossible Fallout in this post, as it includes insights into the world of the editorial trainee, second assistant editor and VFX editors who worked on the film. The assistants job is just to make the colorists work as simple as possible. Basically, they should just have to worry about colouring and that’s it. Not deliverables, not alt takes, just colour. This post also has some sage advice from working colorists for anyone looking to become an assistant or junior colorist, so if that’s you, be sure to work your way through all the links in the last section of the article. This was a fun post to pull together because it includes so many excellent recent resources to learn more about what it takes to be a film editor and how they tackle common challenges in the edit suite. There are literally hours and hours of video interviews to enjoy with some of the industry’s best and brightest. This video essay on Big Little Lies, was the first thing I put into this post on Resources on the Craft of Film Editing 2018, which also includes some other brilliant video essays, film editor interviews and other resources to help you learn more about the craft. This image was the starting point for a post on ‘Exploring Professional Film Editing Timelines‘ as it was possibly the most horrendous thing I’d ever seen. I wonder how DaVinci Resolve’s new ‘flatten timeline’ feature would have taken to it? I put this post together on legendary editor Thelma Schoonmaker as a companion to my review of Martin Scorsese’s filmmaking masterclass, and it has all the best Thelma related interviews and videos I could find. Comedy cutting is a real skill. I learned a lot when we were doing The King Of Comedy, from the timing instructions that Jerry Lewis was giving to other actors. The slight beat, maybe two or three seconds, before you answer a question, or the beat you put in the middle of a line, is all where comedy lies. Some of the greatest comedians, like Gracie Allen, who I adored, have the greatest senses of timing. You have to learn how to make comedy work…. Somehow the posts I write on the making of certain films always turn out to be the longest, or the most frequently updated. So if you saw these earlier in the year, they no doubt have new additions for you to enjoy. I also updated my post on the making of Blade Runner: 2049 a lot as well this year, along with these other posts too. What should I write about in 2019 – let me know what you’re missing! Things I’d like to get my hands on include a LoupeDeck, Blackmagic Design eGPU Pro, a Mac Mini (thoughts on that here) and a Wacom Cintiq. I’m looking forward to cutting more in FCPX, grading more often in DaVinci Resolve and learning to create more polished projects in Premiere Pro through leveraging all their new toolsets. I’m looking forward to Peace on Earth and Goodwill towards all.